Sam entered our Fabulous Fusion Love Story competition back at the start of 2013 and won with her gorgeous tale of how the two of them met and fell in love. From there we produced their Fusion Love Story, and they had so much fun they booked us for their wedding too! 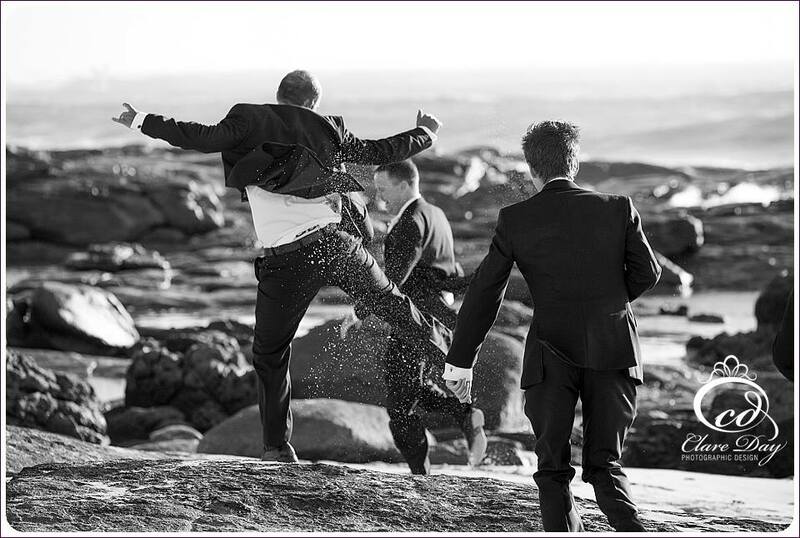 Fast Forward a year to 2nd March 2014, and we finally got to share their special day at Leeuwin Estate, Margaret River with their family and friends, and gorgeous bridal party. The bridal Party portraits were held at Prevelly Beach rivermouth and the Vineyard. We produced our very first wedding fusion film for their special day so we had the whole gang at this wedding - Clare, Jo and John! It may have looked a little like they had paparazzi after them but everyone had a great time, and we promise to show off their awesome film very soon!